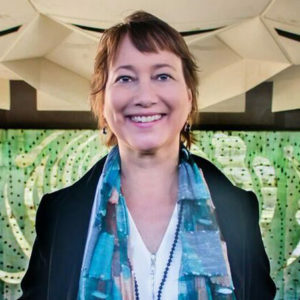 New director Elizabeth Sobol ended her first year at the helm of Saratoga Performing Arts Center on a high — a sold-out concert in early December, where the esteemed St. Luke’s Chamber Orchestra performed all six of Bach’s Brandenburg Concertos before about 700 patrons at Bethesda Episcopal Church in Saratoga Springs. It’s exactly the kind of off-season success Ms. Sobol told The Chronicle she’s aiming for. Coming this winter are three shows at the Hall of Springs, dubbed “Live at the Jazz Bar” (see box). Without access to the amphitheater in the colder months, “We have to look at other venues,” she said. That’s brought SPAC to partnerships with the Bethesda church, Universal Preservation Hall, Skidmore College. Ms. Sobol is a personable and enthusiastic advocate for SPAC, and the Saratoga region in general. 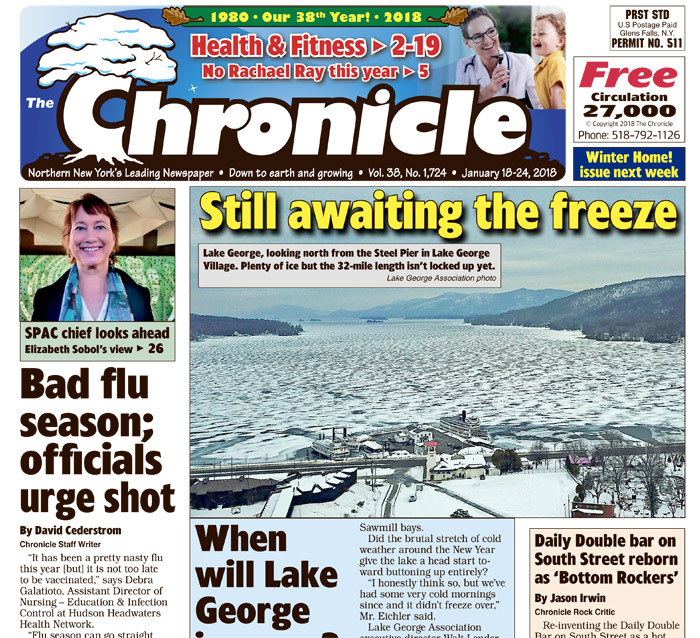 Previously a resident of Miami who commuted to her New York City job as a promoter/agent for high-end classical, dance and jazz artists, she enthused to The Chronicle last June about this region: Caffe Lena, hiking the Adirondacks, and other quality of life opportunities here. At the Board’s annual meeting last month, having completed her first season at SPAC, Ms. Sobol touted a “very successful” 2017, including many new initiatives, and announced the coming 2018 season. That includes the first-ever Capital Region appearance by the National Ballet of Cuba, set for three performances of the ballet Giselle in early June. Also in her report, less heralded, was a shortened season for the New York City Ballet, which will have seven performances over just five days, July 17 to 21. Ms. Sobol told The Chronicle afterwards, the “heartbreaking decision” to cut back on the NYCB residency was made in an effort to save, not diminish, the ballet. She said, “Our data shows that whether City Ballet is here for one week or two, seven, 12, or 14 performances, 80 percent of the attendees are only coming to one performance. It’s pretty staggering. About 11 percent come to two concerts, and only 9 percent come to three or more. “So, to go to two weeks, you double your expenses, and you are cannibalizing your ticket sales, not doubling them. She argues, it’s not good for audience building for newcomers or casual dance fans to come to a performance that feels mostly empty. Instead, she said, she hopes next season to consolidate the Ballet audience, while also encouraging sales with “very diverse programming,” as well as new marketing and pricing options. “I’m not expecting a sell out, just critical mass, so it feels full and exciting. Ms. Sobol said she recognizes that the brouhaha when past SPAC director Herb Chesbrough surprised the Saratoga community, now more than a decade ago, with a seemingly out-of-the-blue plan to cut back the NYCB residency still impacts the dance community’s relationship with SPAC. Meanwhile, the Philadelphia Orchestra holds steady in 2018, with 12 performances scheduled over 18 days, Aug. 1 to 18, she notes. Their general audience- and family friendly programming still tend to drive ticket sales, she said. Ms. Sobol recounts a whirlwind of initiatives from last season, all of which she said will repeat or expand next year. “SPAC on Stage,” a series of intimate jazz, international and chamber fusion concerts that put both the performers and audience on the SPAC stage, “sold out, and people went crazy for it,” Ms. Sobol enthuses. “More important, 30 percent of those people had never come to SPAC before. The new Jazz Bar, offered in the Hall of Springs following classical and dance programs several times during last year’s season — also free to outsiders who hadn’t attended the concert — drew as many as 400 people. She added the stand-alone Winter Jazz Bar series, which drew 300 people for its debut in December, “most that none of us had seen here before” — as in, not the regular SPAC crowd, Ms. Sobol notes. “Our partnership with Caffe Lena was also successful.” That was a series of free Sunday afternoon concerts in the outdoor gazebo stage — newly renamed the Charles R. Wood Gazebo, after the Wood Foundation funded a major renovation. Skidmore College hosted a successful off-season chamber orchestra concert, “Mozart in Havana.” The concert at Bethesda Episcopal Church in December, featuring the St. Luke’s Chamber Orchestra doing the Brandenburg Concertos, played to a standing room crowd of hundreds. Ms. Sobol says, “Another thing that was really important was adding more flexible pricing,” such as sampler packages and a new lower-cost tier of $30 amphitheater tickets for classical programs, and more student and senior discounts — both of which she says generated new audiences. The education program reached 23,000 students, she said, compared to 4,000 the previous year, largely on the basis of new school residencies that she aims to expand this year. SPAC’s long-promised new Website went live in mid-December. It adds more user-friendly front-page links and secondary clicks for event details, tickets and other information about the venue and events. Also upcoming: The Junior Committee’s annual Winter Ball gala, in the Hall of Springs on March 3. The theme is “Under the Sea,” with the suggestion “dress to impress.” Details: www.spac.org.